If you’ve been in an accident—such as a car wreck, truck collision or a slip-and-fall—you might want to consult with an accident attorney. At Wolter, Beeman, Lynch & Londrigan, LLP, our team of dependable accident attorneys in Springfield, Illinois has the knowledge, experience, and expertise to deal with the litigation process regarding accidents of all kinds in Illinois. Our attorneys can guide you through the course of pursuing those at fault in an accident of any kind, including automobile, motorcycle, railroad or boat. We have recovered more than $250,000,000 for our clients in such cases, and we’ll provide you with a free consultation and help you with your case. How Prevalent Are Car Accidents in Illinois? A report from the Illinois Department of Transportation (IDOT), shares the staggering crash stats for 2016 across the state of Illinois. Note: The report is released each year with stats from two years prior, so the 2016 report is the most recent report. All stats below are for 2016 in the state of Illinois. There were 5,4852 motor vehicle crashes in Sangamon County, Illinois. Across Illinois there were 889 motor vehicle crashes per day. There were 93,160 people injured in motor vehicles crashes the same year. Rear-end collisions comprise the highest number of injury crashes, resulting in 32.9% of all injury crashes. 6,741 crashes were in a work zone or construction zone. In 2016, there were 1,650 school bus crashes. In 2016, there were 14,935 crashes involving deer. The total estimated cost of crashes in Illinois for 2016 was $7.7 billion. There were 324,473 crashes involving motor vehicles in Illinois in 2016. Of these, 66,703 reported injuries. Crashes involving pedalcyclists accounted for 1% of overall crashes. Crashes involving speeding accounted for 32.6% of overall crashes, 33.2% of fatal crashes, and 37.8% of injury crashes. Crashes involving motorcycles accounted for 1.1% of total crashes, 15.2% of fatal crashes, and 3.7% of injury crashes. Crashes involving tractor-trailers accounted for 3.5% percent of overall crashes, 10.6% of fatal crashes, and 2.8% of injury crashes. Crashes occurring in work zones accounted for 2.1% of total crashes, 3.7% of fatal crashes, and 1.9% of injury crashes. Crashes involving deer accounted for 4.6% of overall crashes. There was an average of 1.1 deaths per fatal crash. 83.9% of fatal crashes occurred on dry roadways. 49.4% of fatal crashes occurred during daylight hours. Given stats like these, it is likely that you or someone you know may be involved in a car accident at some point in your lifetime. What Types of Accidents Are Most Common? If you are involved in any of the types of accidents above, the lawyers at the law firm of Wolter, Beeman, Lynch & Londrigan, LLP can help. We assist victims of any of those types of accidents. How Can I Be Compensated If I'm in an Accident? If you're like thousands of others involved in a motor vehicle crash such as a car accident, motorcycle accident or truck collision, you’ll want to seek help, get justice, and receive compensation for your medical bills, lost income, pain and suffering, and property loss. Call the dependable accident attorneys at Wolter, Beeman, Lynch & Londrigan, LLP today for your free consultation. As we handle these cases on a contingent fee, there are no legal fees due unless we make a recovery on your behalf. That fee will be based on a percent of our financial recovery. 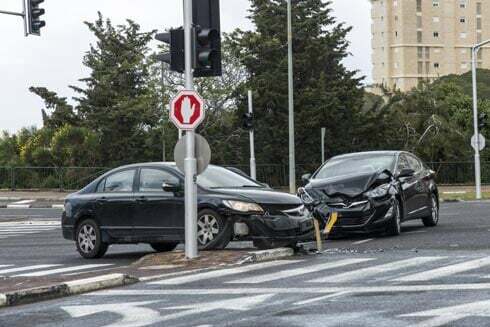 ​How Do I Choose an Accident Lawyer? When deciding which lawyer or law firm to retain for your accident claim, you may find it useful and informative to review our five tips for choosing an attorney. If you have been the victim of an accident, you may be eligible for compensation. To determine if your situation qualifies, you should meet with experienced accident attorneys who can get results, such as the team at Wolter, Beeman, Lynch & Londrigan, LLP. The attorneys at Wolter, Beeman, Lynch & Londrigan, LLP have worked on many accident cases and represent clients in Springfield, Illinois and surrounding areas including Jacksonville, Lincoln, Decatur, and Litchfield. We never charge for a consultation. Contact us today to learn more.